Ireland changed its rules to eliminate a loophole that allowed drivers to escape a penalty if they were texting via a phone resting in a cradle. DUBLIN -- Texting while driving is now considered as serious an offense as drunk driving in Ireland, with fines starting at 1,000 euros and jail time a possibility for habitual offenders. Conor Faughnan, director of consumer affairs for the Automobile Association in Ireland, said the new rules are considered among the toughest in Europe. In most other European countries it is illegal to drive while using hand-held phones or similar devices to speak or text but the penalties vary. Since May 1, motorists in Ireland caught texting or accessing information on their mobile phones while driving will get a mandatory court summons and a fine of 1,000 euros for their first offense. A second offense costs 2,000 euros with the possibility of a three-month jail sentence. In the past, Irish law did not specifically penalize drivers for texting while driving. The offense, which resulted in two penalty points and a 60 euro fine, was for driving without due care. A driver accumulating 12 penalty points within a three-year period is automatically disqualified from driving for six months in Ireland. Ireland’s new rules also apply to hands-free phones. This addition closed off a loophole that allowed drivers in Ireland to escape a penalty if they were using a phone resting in a cradle or a hands-free kit. The only legal way to send or receive text messages in Ireland is through voice activation. 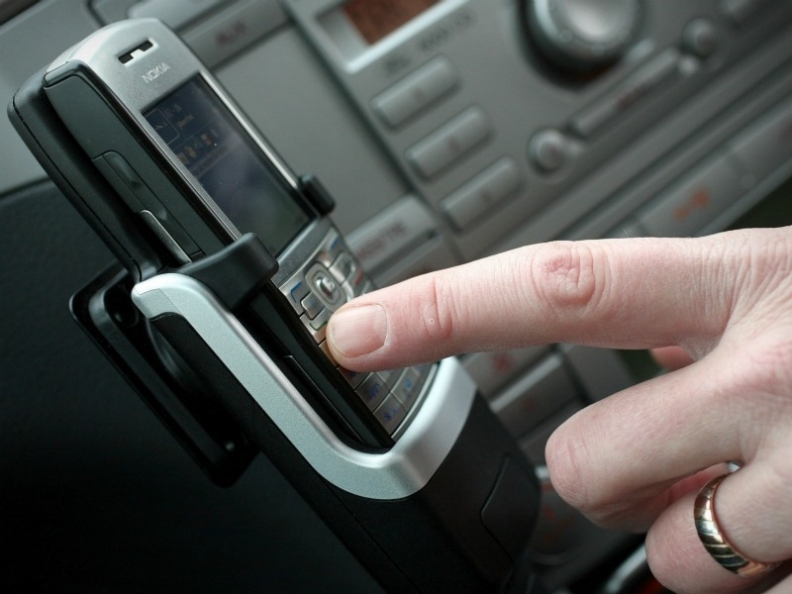 A 2013 study by the Belgian Road Safety Institute found mobile phone use to be a major cause of driver distraction. Research from the European Transport Safety Council showed that driving while talking on a hand-held or hands-free mobile phone increases the risk of a collision fourfold while drivers using hands-free mobile phones took 20 percent longer to hit the brakes in an emergency.